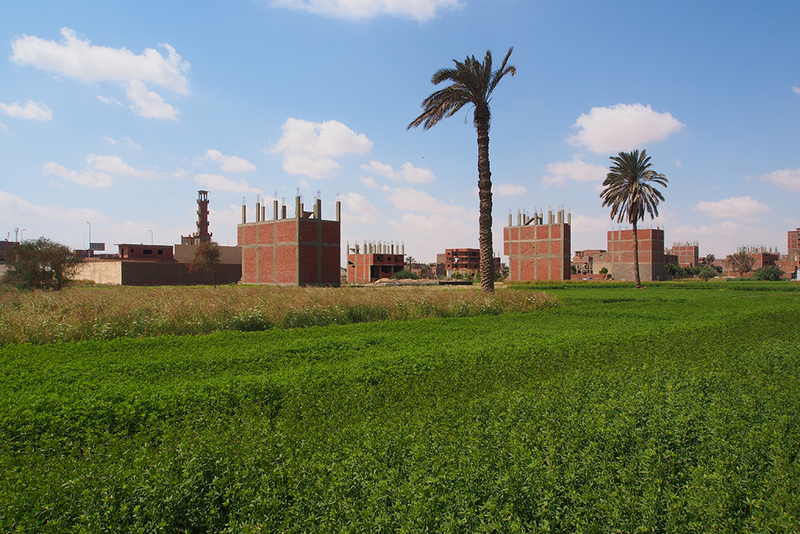 In the light of rampant speculation concerning farmland around Cairo, the ETH Zürich team led by Marc Angélil and Charlotte Malterre-Barthes has worked on transforming the typology of these sets of buildings. 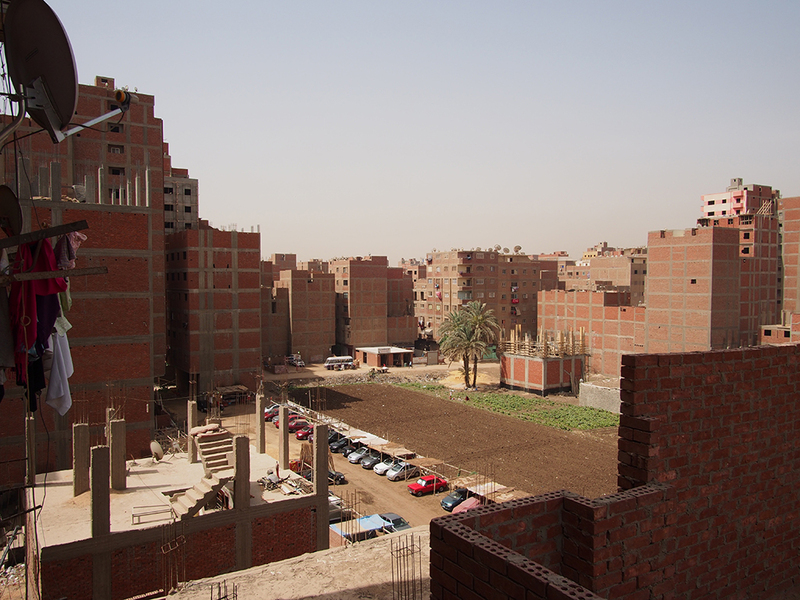 By recombining architectural and structural elements, they seek to improve quality of life in the flats and create communal areas that will improve daily life across these districts. 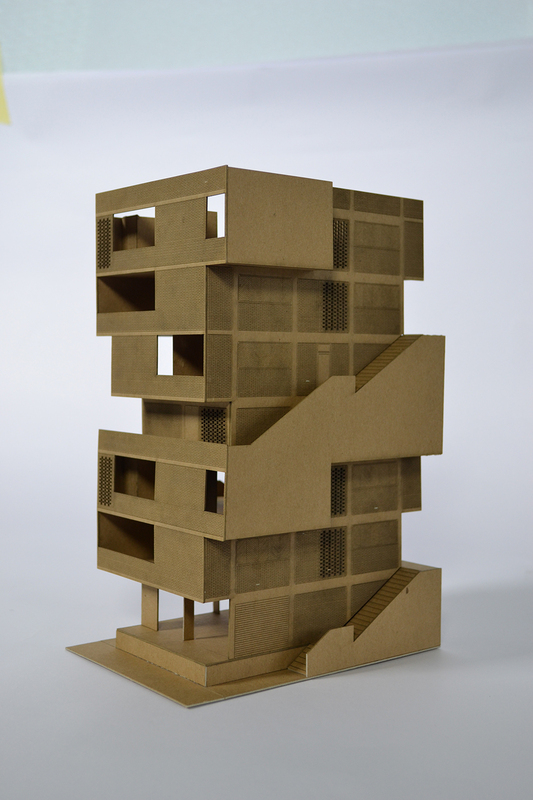 To offer access to a view or to natural light, or to provide better venti- lation in the flats, the architects proceed by removing materials from these hyper-dense residential towers. Other proposals for empty plots entail new ways of building under the same conditions : moving the circulation node, spreading out the structure, and so on. 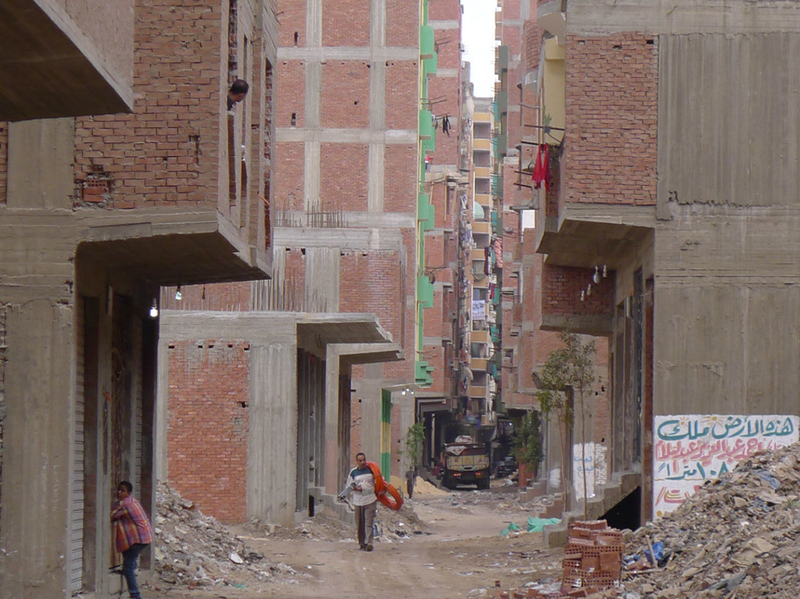 The idea is to improve housing quality through tactical interventions.